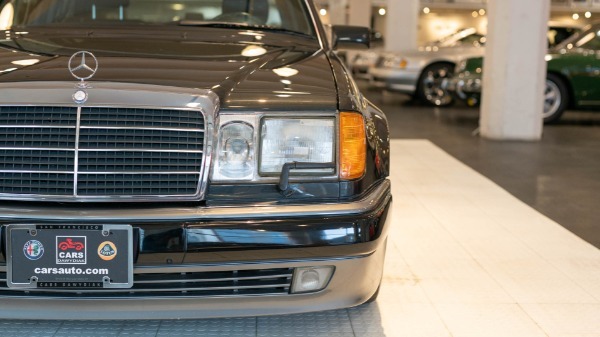 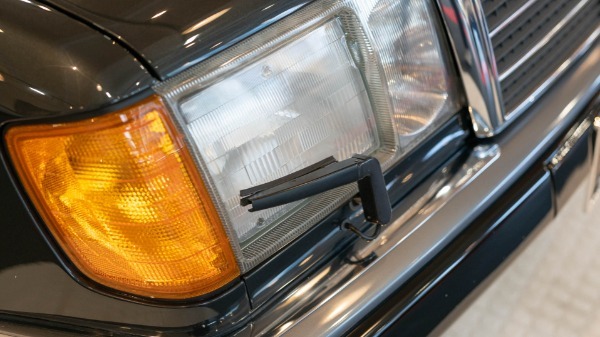 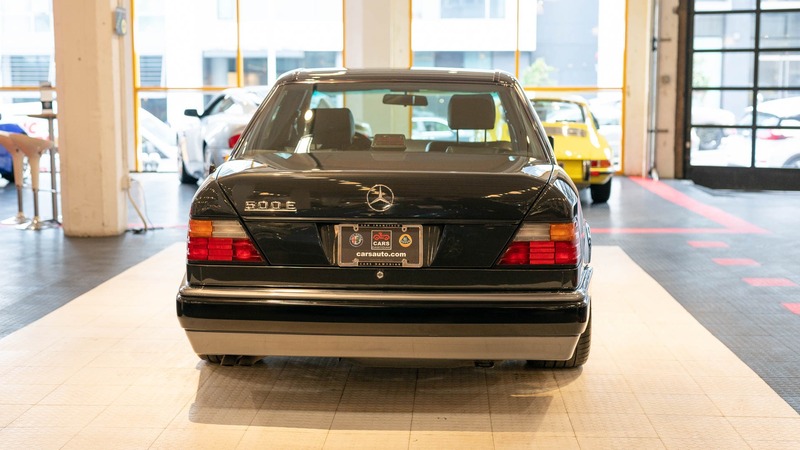 From 1990 to 1995, Mercedes-Benz sold a high-performance version of the W124, the Mercedes-Benz 500 E (W124.036). 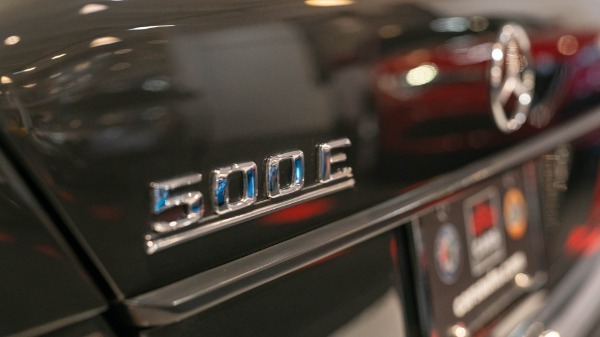 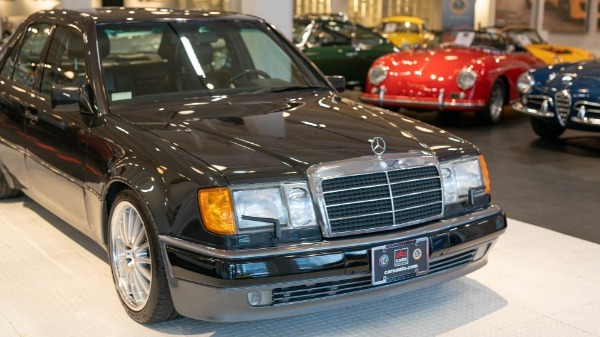 The 500 E was created in close cooperation with Porsche. 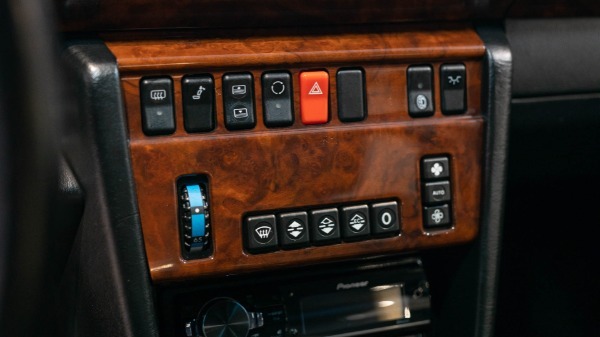 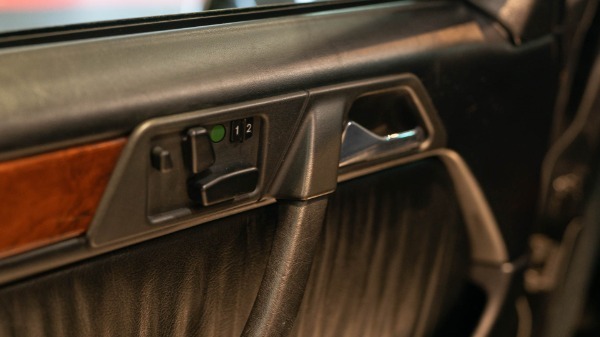 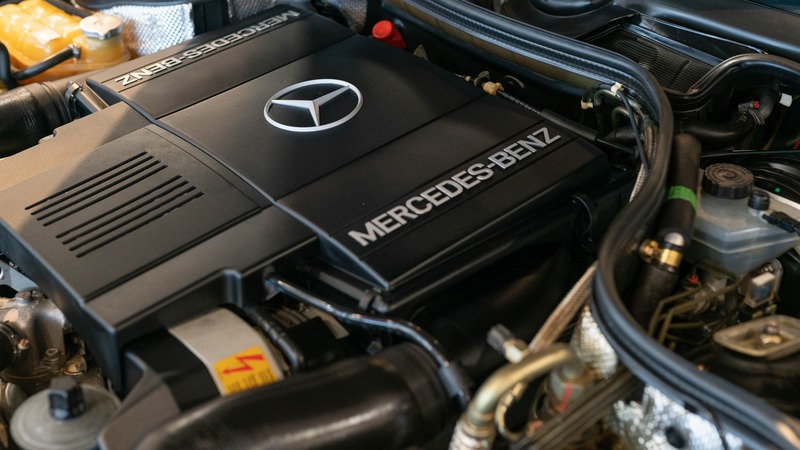 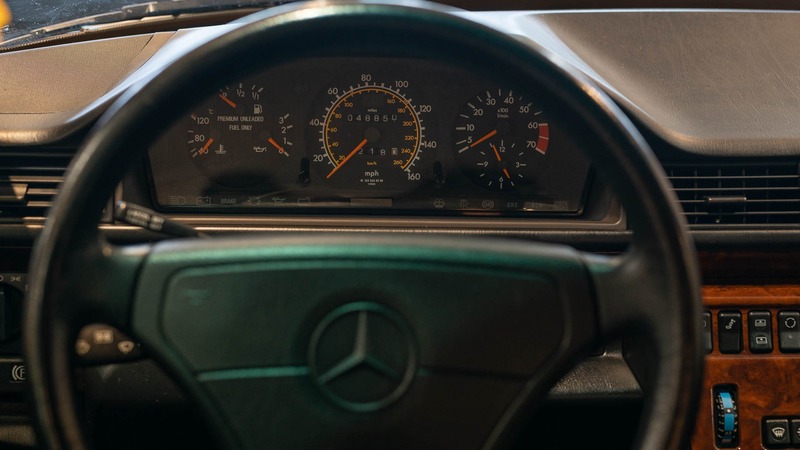 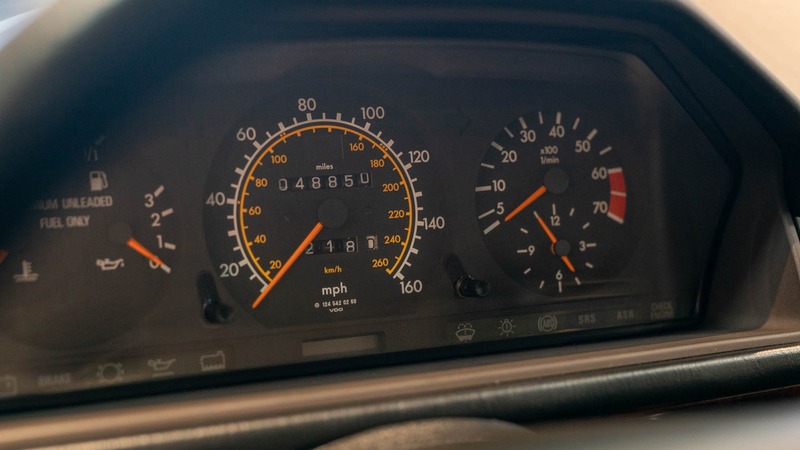 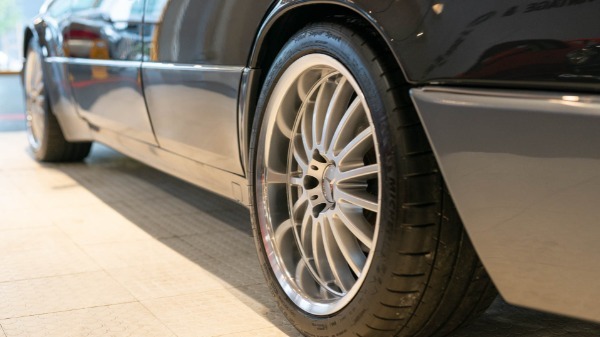 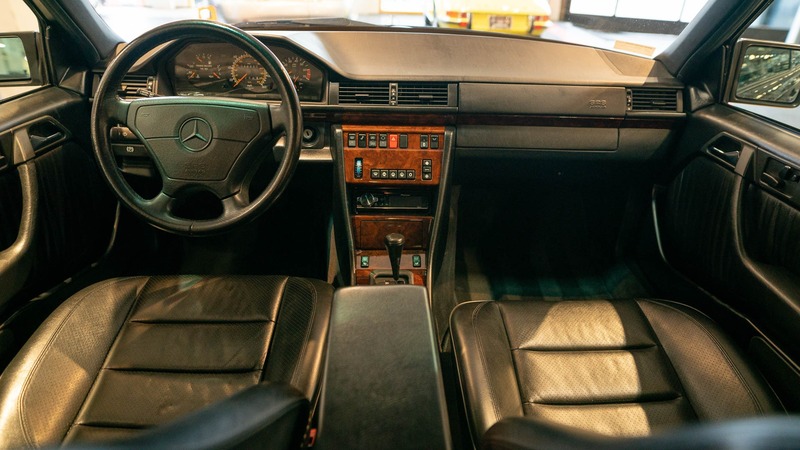 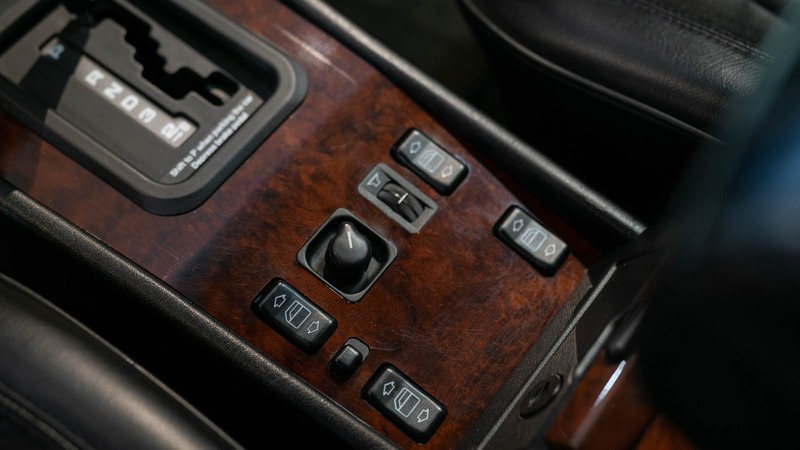 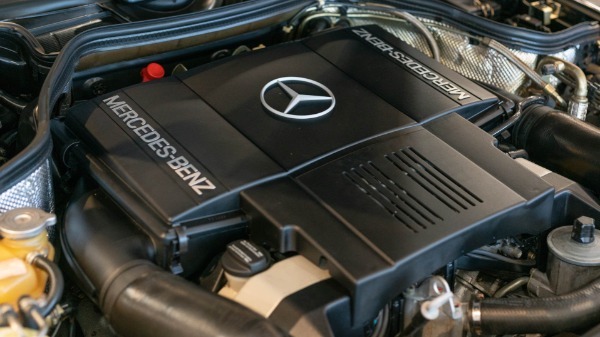 With its engineering department being fully occupied with the development of the new S-Class, Mercedes-Benz commissioned Porsche in 1989 to redesign the W124 chassis to shoehorn the 5.0L V8 used in the SL into it, along with the necessary changes on the suspension system and drive train. 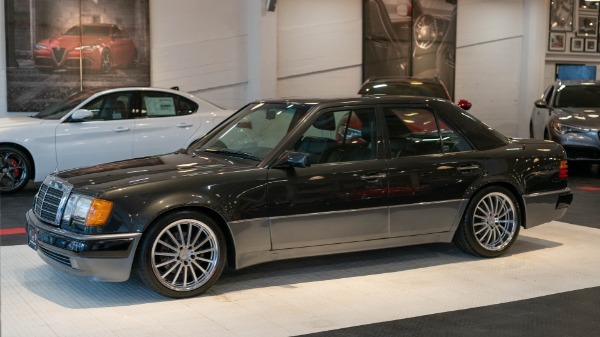 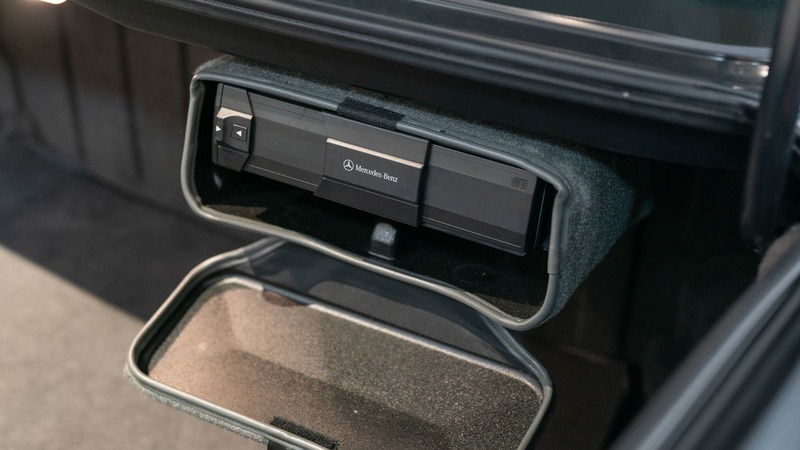 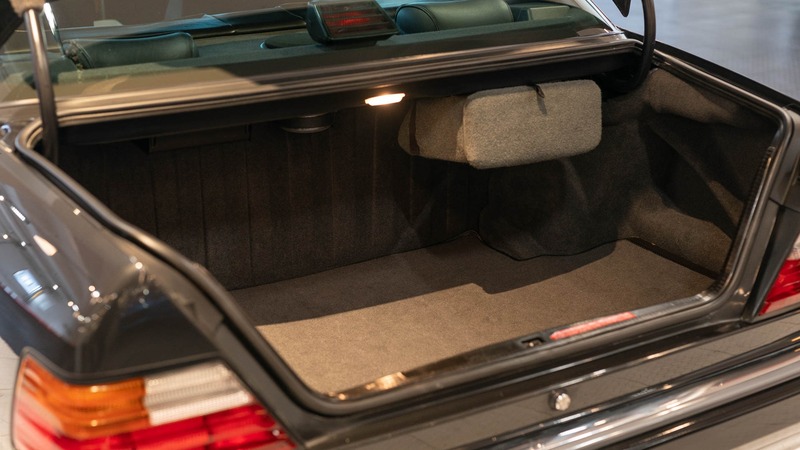 When the car was ready, it was found that its widened fenders didn't fit through the W124 assembly line in Sindelfingen in three places. 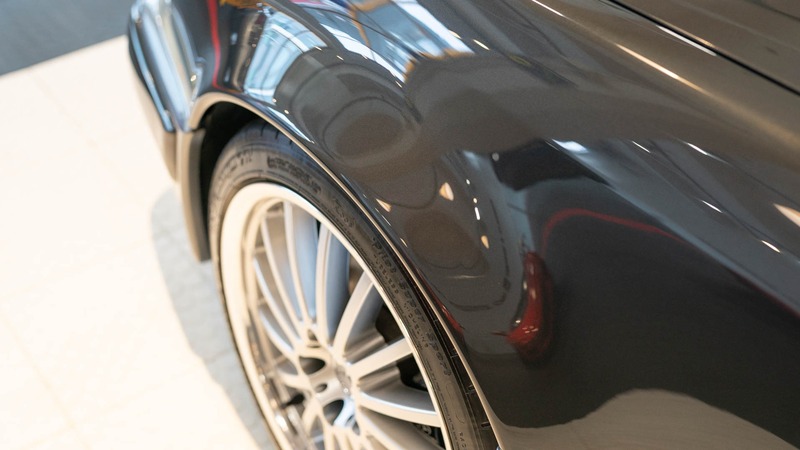 Hence Porsche was also commissioned to assemble the car. 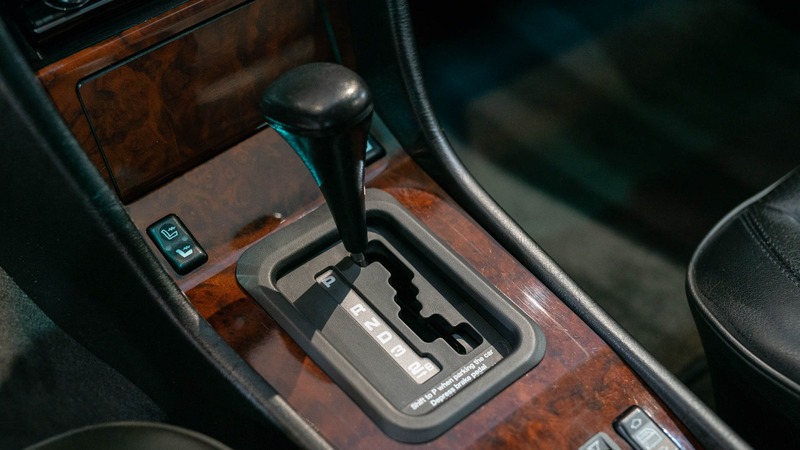 As a side-effect this arrangement provided workload for Porsche's plant, as the company was in crisis at the time, and its factory capacitiy was underutilized. 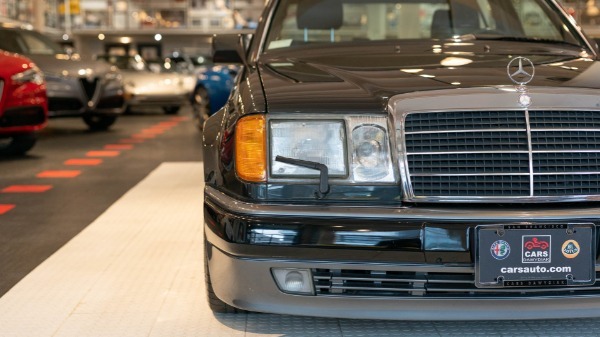 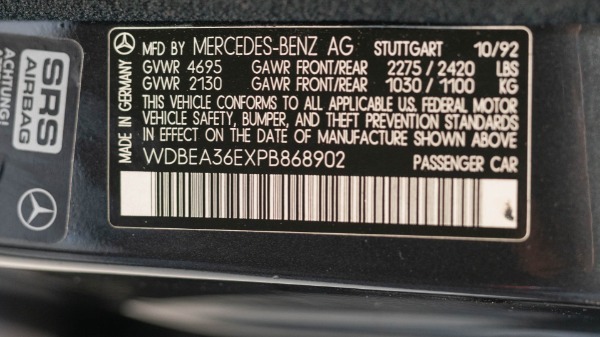 During production Mercedes-Benz delivered parts to Porsche's "Reutter-Bau" plant in Zuffenhausen (an urban district of Stuttgart, Germany) where the 500 E chassis were hand-assembled. When finished the chassis were transported by truck to the Mercedes-Benz assembly plant in Sindelfingen to be painted. As soon as the paint was dry the varnished chassis were then shipped back to Porsche's "Rssle-Bau" in Zuffenhausen where the engine was put in and the car completed. 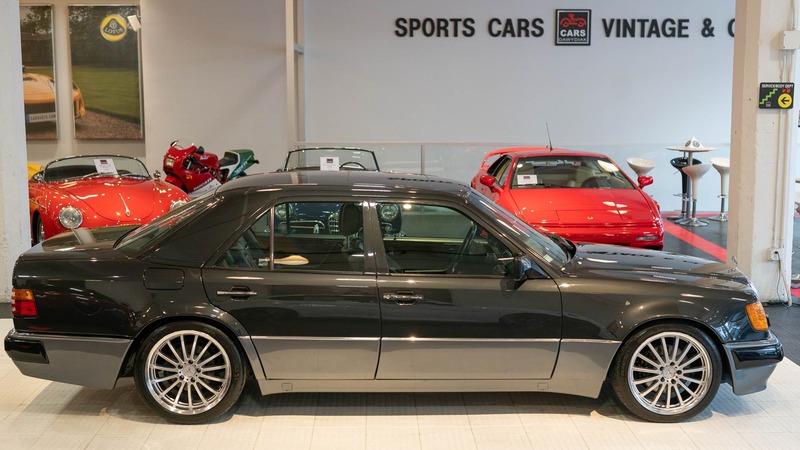 For final inspection and delivery the vehicles again were transported to Sindelfingen. This process took a full 18 days per car. 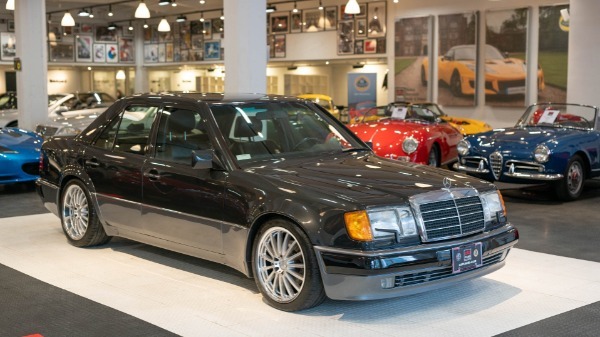 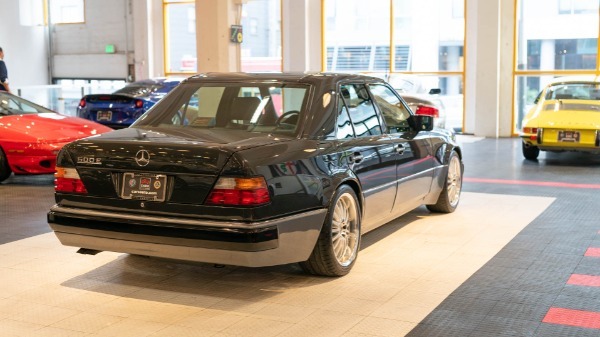 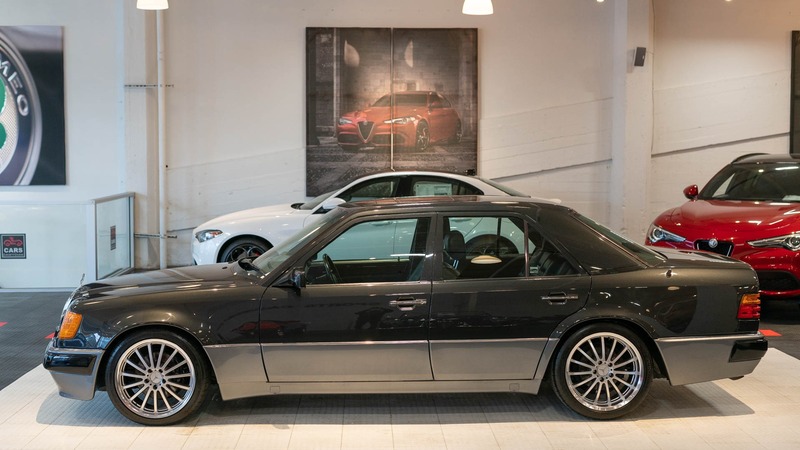 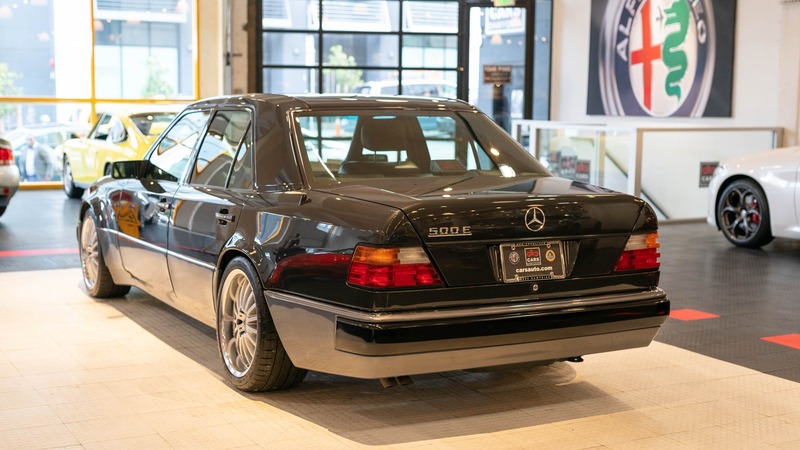 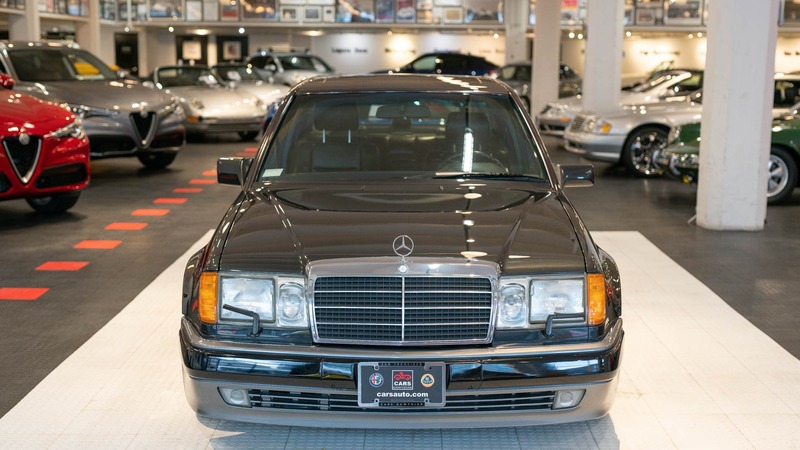 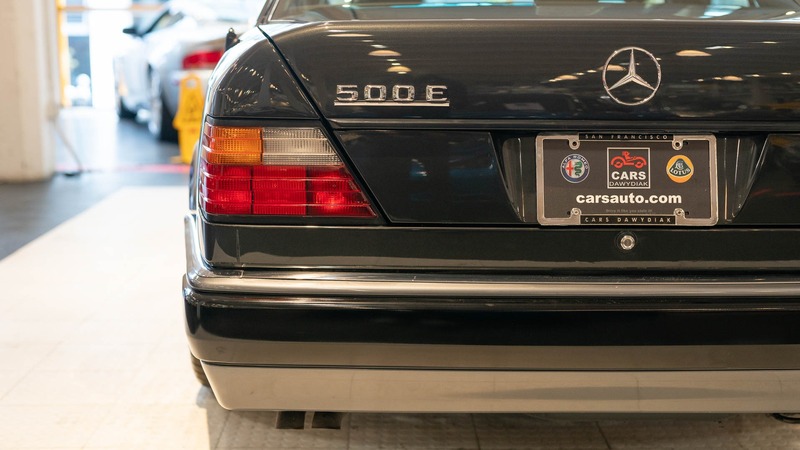 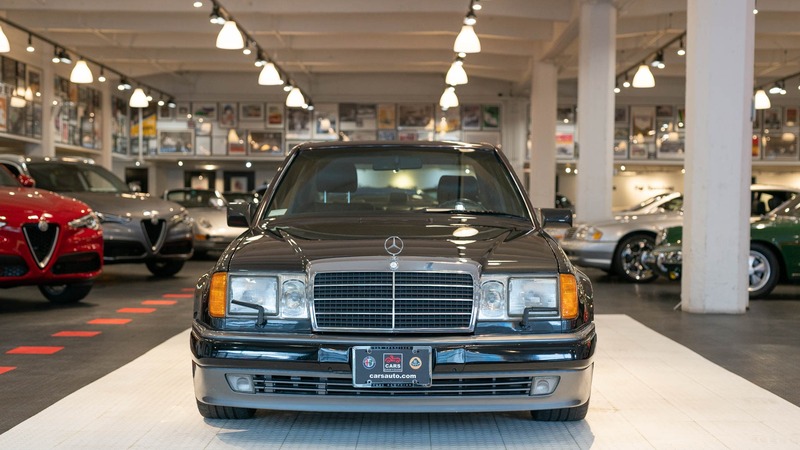 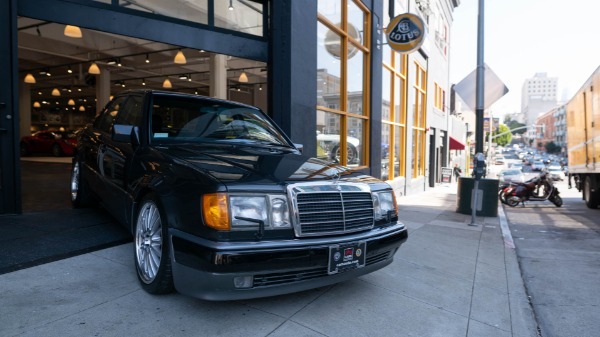 Presenting an incredible two-owner incredibly hard to find 500E with only 48k original miles. 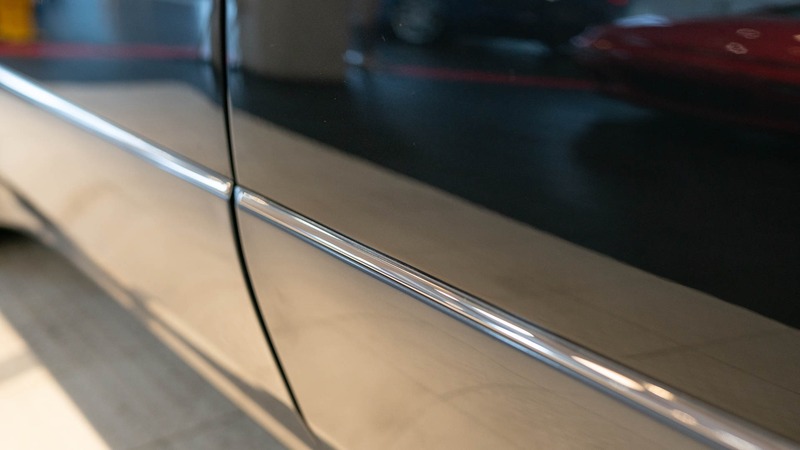 Finished in Blauschwarz Metallic (Black Pearl), the exterior paint still shows well with no fading, pitting or swirls. 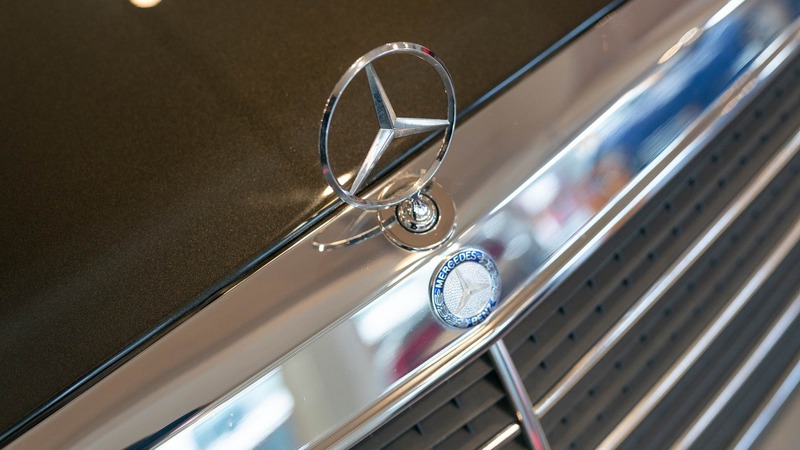 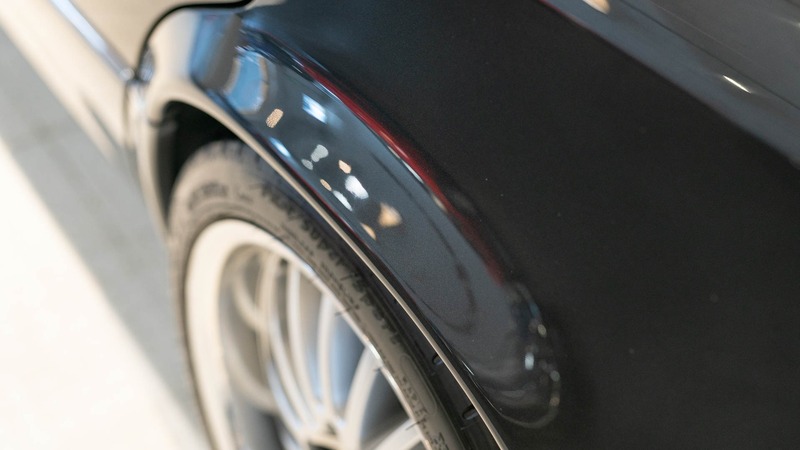 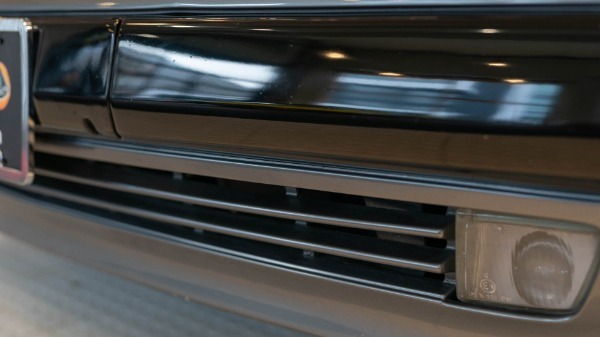 A few small rock chips are present on the front edge of the hood, but the paint is otherwise free of blemishes. 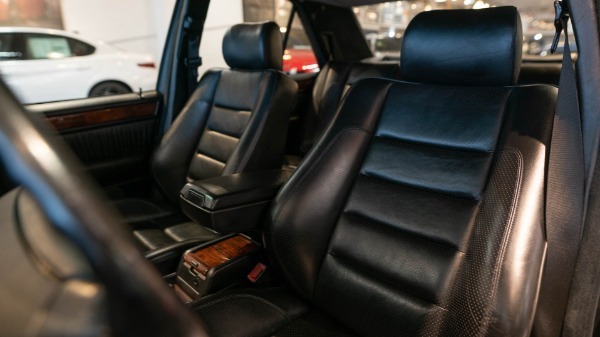 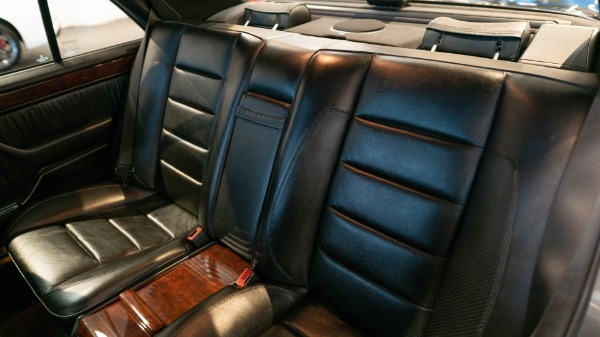 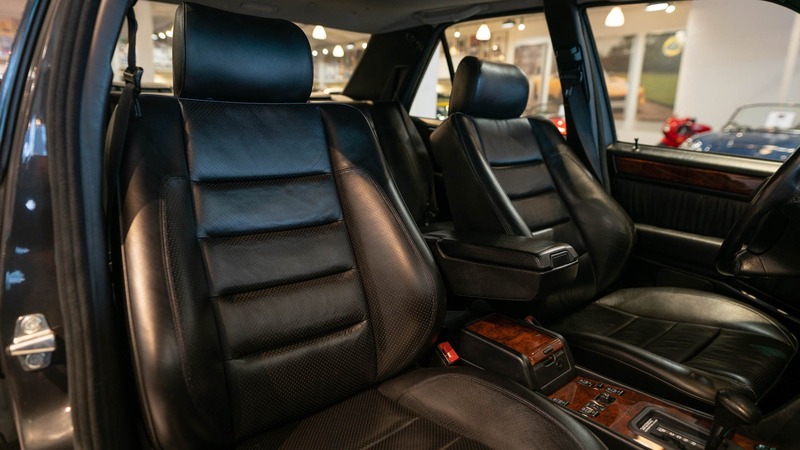 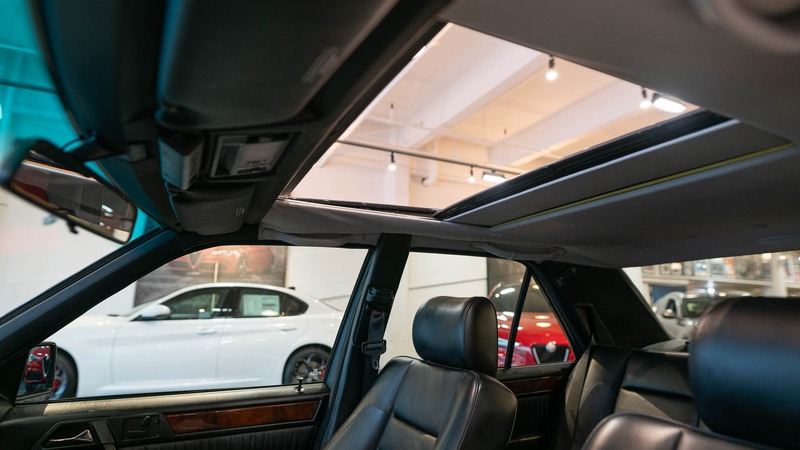 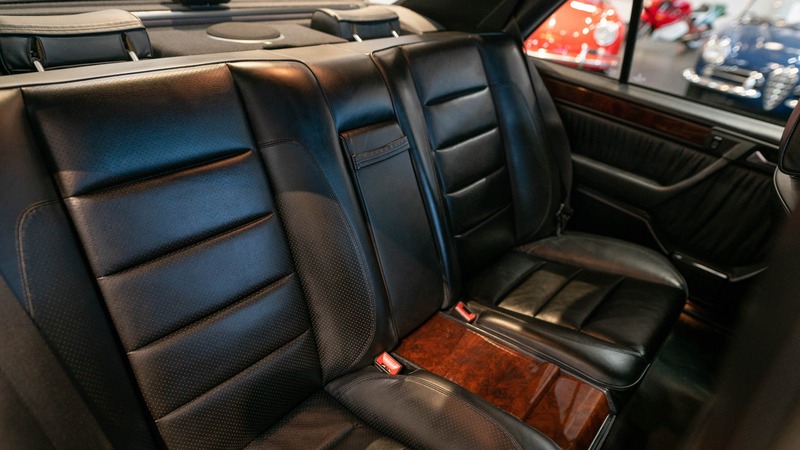 On the inside, the black perforated leather Sport Seats show no signs of fading or shrinkage, and the bolsters show very little wear. Recent services include, fluids and filters, new Interstate battery, distributor cap, rotor, plug wires, spark plugs, and 2 new Michelins for the rear. 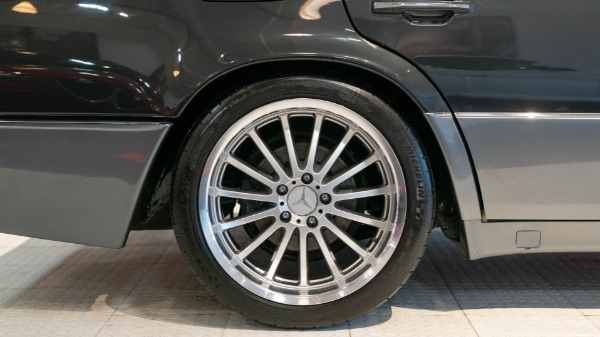 The vehicle is completely stock with the exception of 18x9.5" Manus Millenium Wheels, Performance Springs (rides approx 1" lower than stock), and an aftermarket stereo. 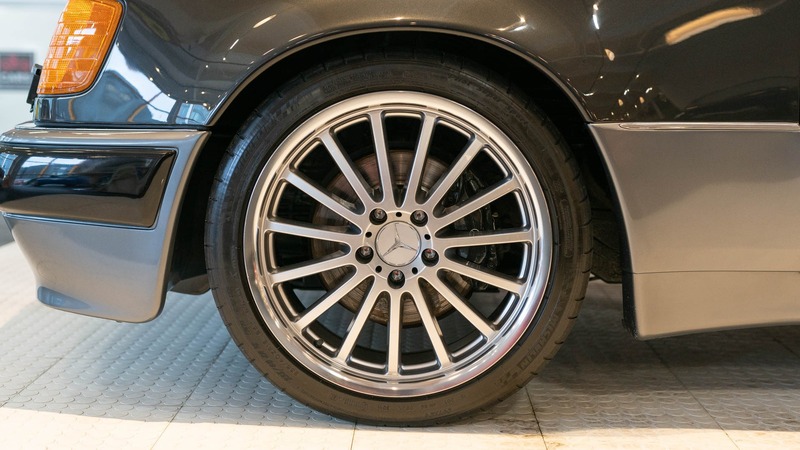 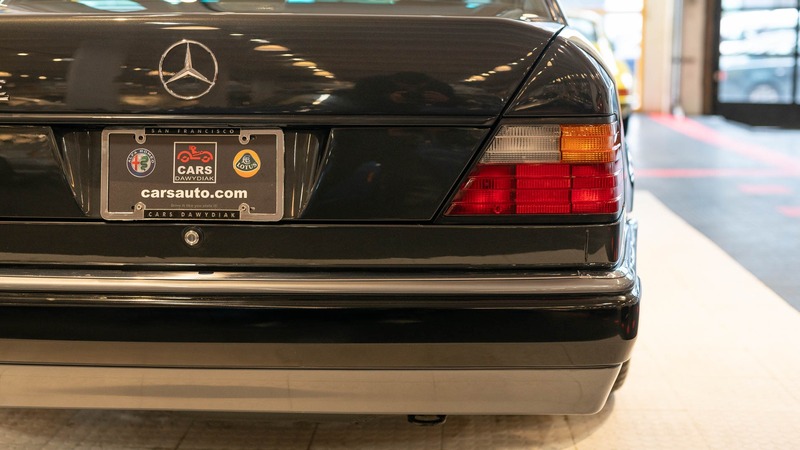 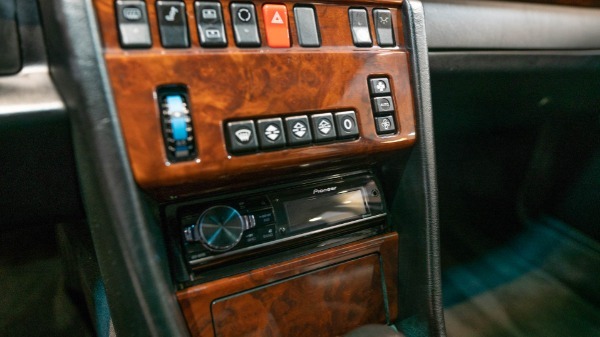 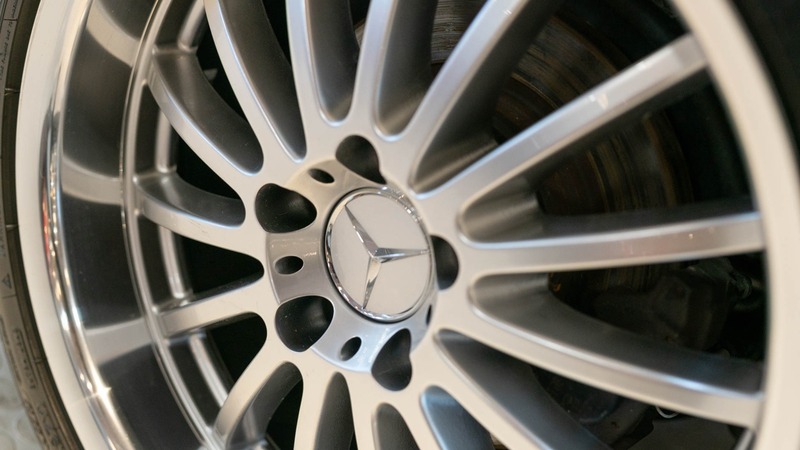 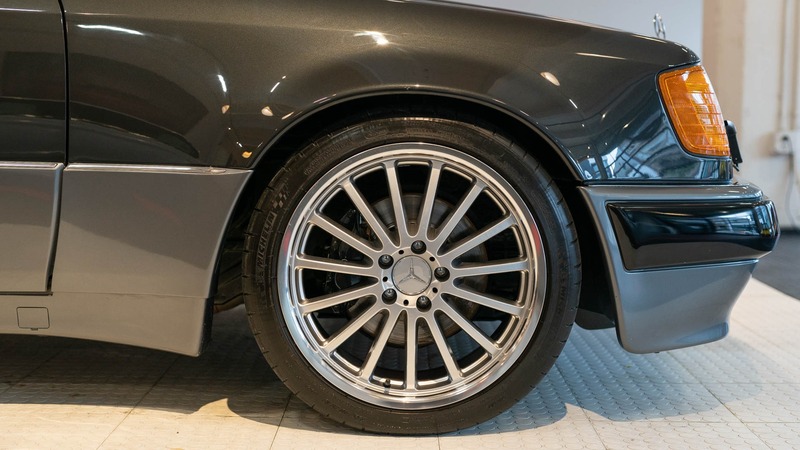 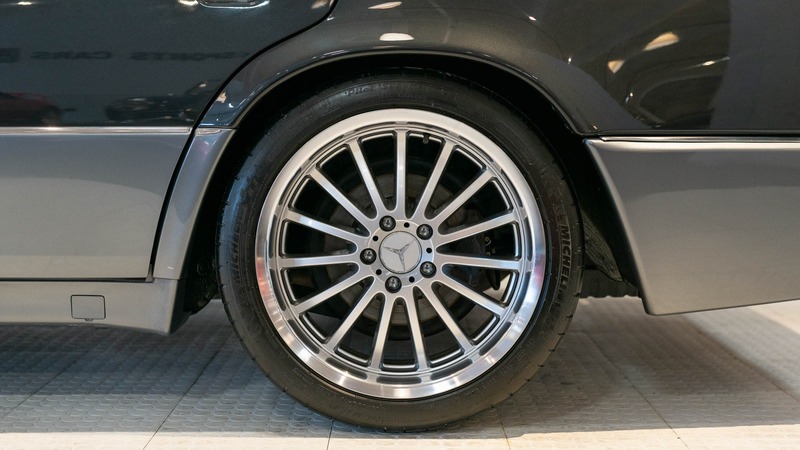 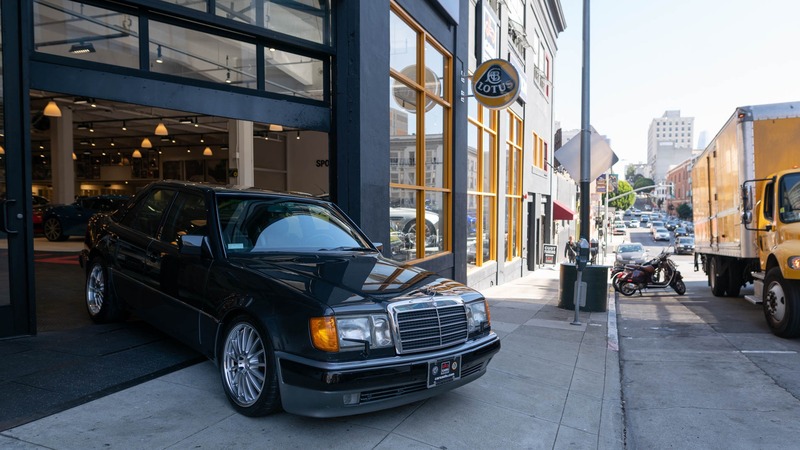 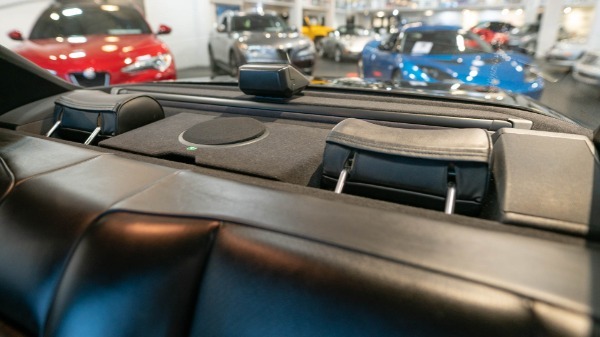 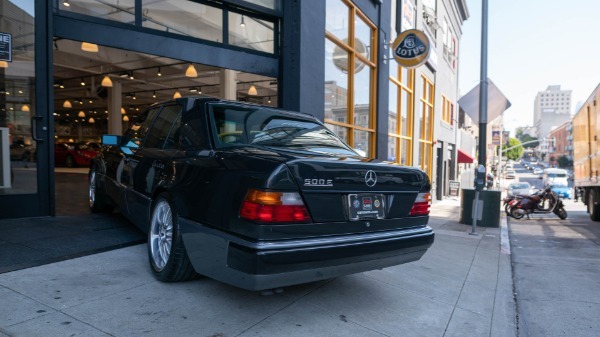 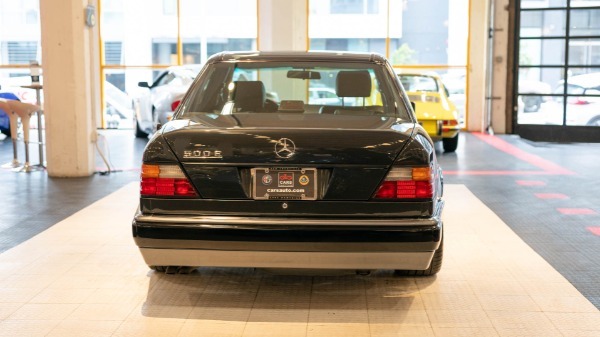 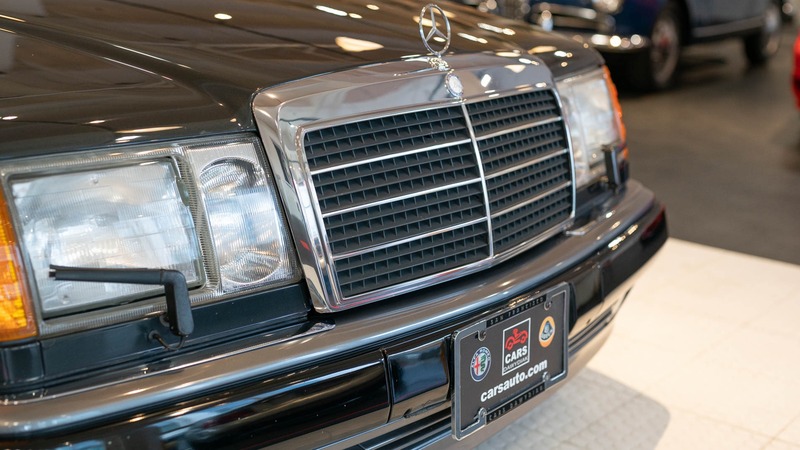 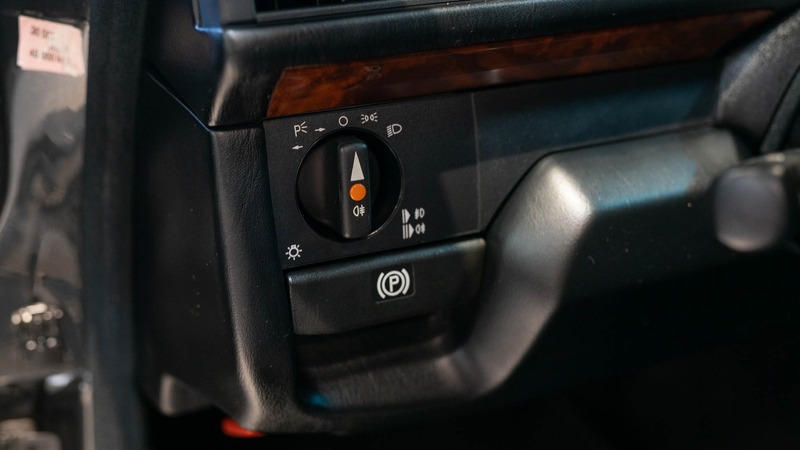 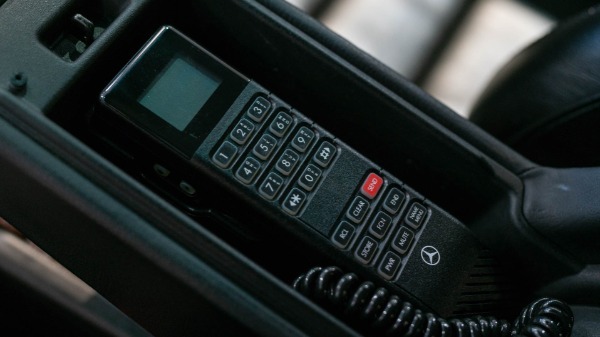 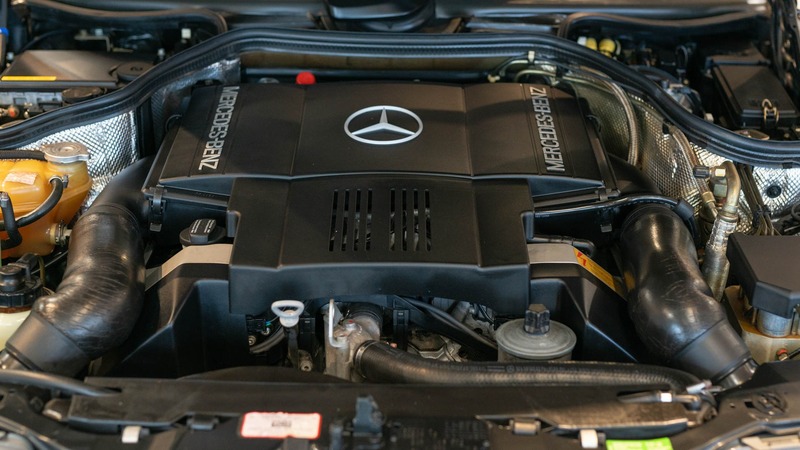 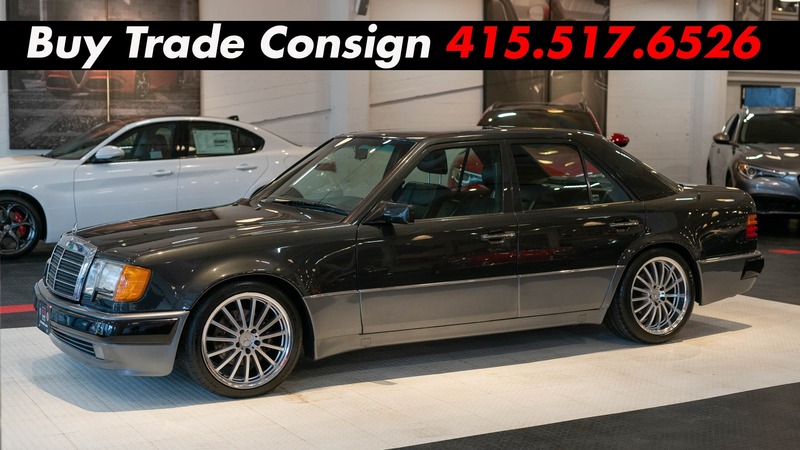 All accessories and options are in working order, and this pristine Mercedes Benz currently needs nothing. 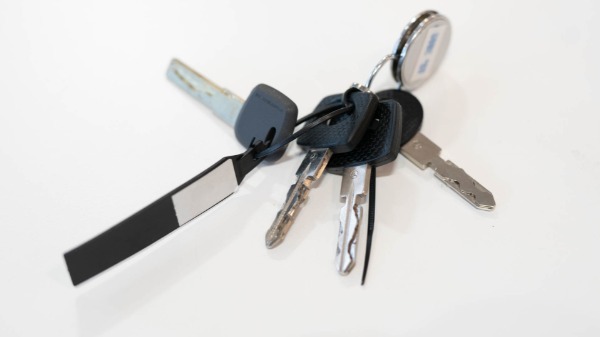 Books, manuals and service records are present, as well as two master keys.